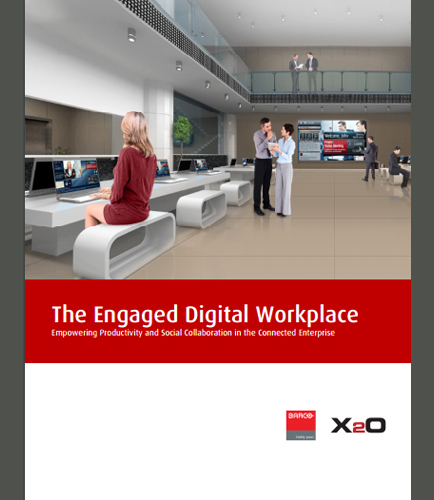 "The Engaged Digital Workplace to Improve Productivity & Collaboration"
With digital workplace, it has become easy for enterprises to leverage a variety of technologies to increase productivity in their organization. If you need to communicate with stakeholders for better employee engagement, higher level of collaboration, and faster decision making process, you must have to leverage the new visual business aspects. So would you like to leverage visual content which connects people, ideas and aspirations? Why you need a digital workplace strategy? How does the digital workplace improve employee engagement? What are the changes we’re seeing in the workplace today? Social networking is the practice of using internet-based applications to build new professional or personal contacts. As a concept, Social Networking helps to overcome communication setbacks and stay connected with peers and business communities across the borders. The most primitive form of social networking on the web began in the early 1990’s through online communities such as Theglobe.com, Geocities, and Tripod.com.